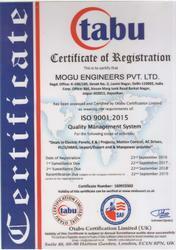 Our company, “Mogu Engineers” was incorporated in the year 1999 at Delhi, (India). Today, we acclaimed as a leading Manufacturer, wholesaler, trader, distributor, and service provider of various kinds of Soft Starters, Servo, and Controllers, Automation, PLC, HMI, etc. All the products offered by us are a class apart owing to its efficient performance, long service life, low maintenance, reasonable pricing, workmanship and fine finish. Entire assortment is developed by procuring high-grade quality material and in compliance with the standards set by the company. We offer customization services to our customers which have earned us the goodwill in the market and vast clientele. Our range of products includes Powerful, Compact, PLC LX-700, Textmate, Touch Screen, Ultrasonic Positioning System, Proximity sensor, Limit Switches, Pull Cord Switches, Safety Relays and much more. Backed by a well flourished state-of-the-art infrastructure with latest machinery and designing unit provides us with the latest and highly reliable products. Every manufactured good is passed under scrupulous quality tests such as Inlet & Outlet tests, Performance tests, Voltage Tests and Current Tests. Our complexities are simplified by use of sincere Process Methodologies such as Conceptualization, System Design & Engineering. We have well-maintained warehouse & packaging department for the quality and timely delivery of the manufactured goods. 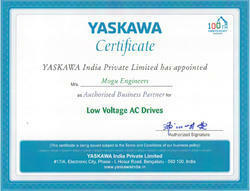 We make use of advanced machines and innovative technology to deliver highly reliable services. The professionals working with us are highly experienced and well trained that help us in providing flawless and exact services to our clients across the nation. Being a client centric organization and always strive hard to offer the best quality services to our esteemed clients in order to attain their utmost satisfaction and these services are opted by various industries. The offered services are completed according to the needs of clients and this has helped us winning accolades all over the industry. We have achieved a respectable position in the industry by offering reliable services that are accurately carried out to give complete satisfaction to our esteemed clients all over the country. Additionally, we conduct regular training sessions and workshops to keep our professionals updated with the current market innovations. Our mentor, “Mr. Rajiv Gupta (Partner)”, of the company is fully conversant with the engineering and technical details of products handled by the company. All the business affairs are being managed very competently owing to their entrepreneurial abilities. Trading, Exporter and Outsource Manufacturer of various kinds of Soft Starters, Servo and Controllers, Automation, PLC, HMI, etc. As a client focused company, we have gained trust from an immense client base and named brands in the industry. Our ability to attempt for the greatest provided us with the competing edge to go beyond the conventional. We have formed humane business policies that address us responsible for administering our market operations with absolute transparency and sincerity to produce the best in class products at the minimal price. Our well-integrated work set up is strategically outlined and developed to in tune our production capabilities with the soaring business needs. We aim to accomplish the purpose of operational perfection that is further reinforced by achieving technological improvements at our in-house production unit. We have spent valuable resources in modernizing our R&D labs and administration divisions that result in the well-timed distribution of innovative quality of AC Drives and Switches. Our people are deeply experienced professionals who concentrate on building stable client relationships on the grounds of their abilities, dedication, and work determined approach. We have selected an ambitious team of hardworking individuals who promote the ethos of interaction and shared accountability. We have industry’s best R&D specialists, fabricating experts, warehouse managers, quality controllers and delivery personnel on board.